Snapchat has touted its mobile service as a platform for making messages vanish, but now it's being forced to own up to collecting and keeping information about users. The company entered into an agreement Thursday with the U.S. Federal Trade Commission to settle charges that it had deceived consumers by making false promises over the disappearing nature of messages sent through its app. The FTC alleged that the company deceived consumers over the amount of personal data it collected and the security measures taken to protect that data from theft or misuse. In one incident earlier this year, security researchers uncovered a vulnerability that allowed the phone information of more than 4 million Snapchat users to be exposed. "If a company markets privacy and security as key selling points in pitching its service to consumers, it is critical that it keep those promises," said FTC Chairwoman Edith Ramirez, in the agency's announcement. "Any company that makes misrepresentations to consumers about its privacy and security practices risks FTC action." Snapchat has marketed its service as letting users' photos disappear "forever" after being viewed on recipients' smartphones for up to 10 seconds. But in fact there are a number of workarounds that can be employed to save the photos to users' phones, including by taking a simple screenshot. "You should not use Snapchat to send messages if you want to be certain that the recipient cannot keep a copy," it says. In its policy, Snapchat does say that it "may collect information about the location of your device" to facilitate the use of certain features. Under the terms of the settlement, Snapchat will be prohibited from misrepresenting the extent to which it maintains the privacy and security of users' data. It will also be required to implement a privacy program that will be monitored by a third-party privacy group for the next 20 years, the FTC said. 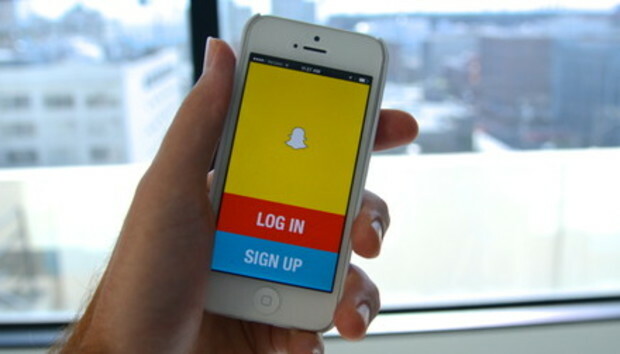 Snapchat could be forced to pay fines if it does not comply. "When we started building Snapchat, we were focused on developing a unique, fast, and fun way to communicate with photos," Snapchat said in a statement on the settlement. During those building days, some things didn't get the attention they could have, "like being more precise with how we communicated with the Snapchat community," the company said.